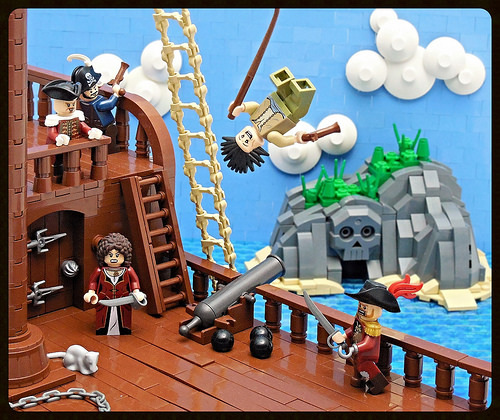 Master of the colorful LEGO scenes Letranger Absurde (whose atomic blast we featured this summer) is at it again with this diorama featuring a merry band of buccaneers. Showing only part of the pirate ship, the real stars are the clouds hanging in the bright sky above the skull island. The door hinges are also noteworthy on the ship itself, as is the brick-built rope ladder.